It is clear from the weather of late that summer – and autumn! – are most definitely over. I’m a bit of a fake bake connoisseur right through both seasons, and also like to keep a little glow on even when the layers aren’t dropping off. You never know when you might book that tropical holiday on a whim and hey, I think I look better with a bit of a tan anyway. So sue me! This is when I like to make friends with a gradual tanning formula, and one that I’ve been playing with lately that also keeps my winter skin nourished is an absolute wonder by the Insta-famous (with good reason) Bondi Sands. Called Everyday Liquid Gold Gradual Tanning Dry Oil, it’s a lovely, skin-loving product enriched with Argan Oil that cares for your skin while giving you a beautiful skin-kissed glow that lasts and lasts. It is ideal for anyone who wants a great tan with minimum fuss and effort - no rinsing required! – and also for anyone who is a faux glow novice and might be a little nervous about slips ups on the coverage front. 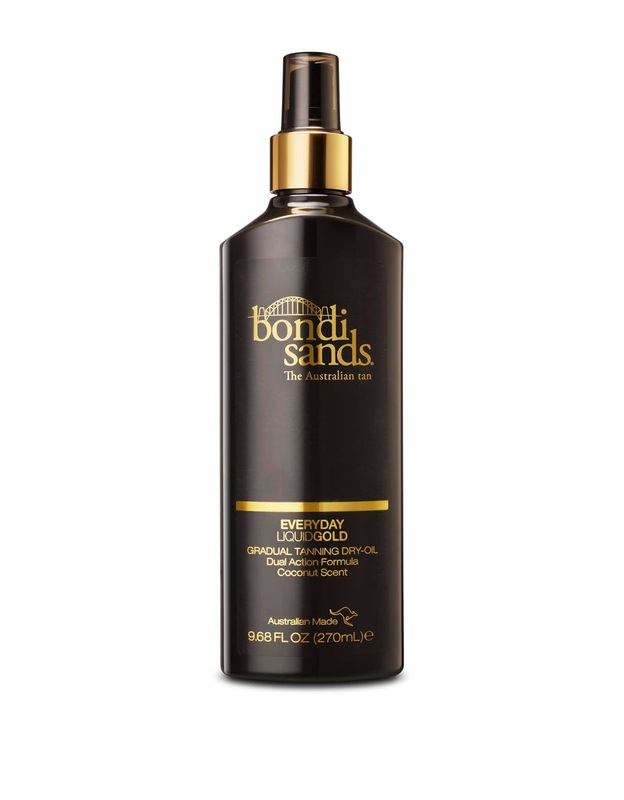 I love that Bondi Sands Everyday Liquid Gold dries super quickly so you're ready to dress in just a few moments, and it is now a regular part of my morning routine. It develops into a beautiful light to medium tan that you can build up as you see fit. It’s also a great way to prolong any gruntier tanning products that you may have applied a few days earlier, to avoid any telltale patchiness and whatnot. Super easy to use, you simply exfoliate in the shower and clean and dry your skin well before applying Everyday Liquid Gold Gradual Tanning Dry Oil evenly onto the skin in circular motions. Wait until it's dry to the touch before getting dressed, and you’re good to go. Use it every day or as often as needed to maintain your tan – I’m finding that application every other day is definitely doing the trick for me. Oh, and did I mention it also come scented with coconut, for the ultimate almost-in-Fiji feel? Highly recommended and super affordable at RRP $24.99, it’s in store at Life Pharmacy, Faremers and Unichem. Get yours now!